(Note from Sue: I remember when I was a child, May Day (May 1) was a VERY special thing. 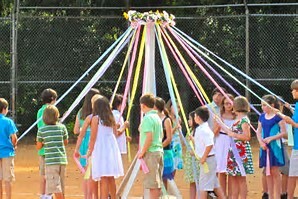 In fact, we made a "May Pole" and all took a strip of colored steamers and danced around the May Pole. Today, May 1, 2017, we are "all grown up" and members of a world on the edge of great change. “As a child, I had to go to bed early, really early. But I didn’t really mind because I knew where I was going. Every night I went to Heaven to play with Angels, and meet with Jesus. So my experience has always been there, every evening." "My first memory/ knowing is a bright Blue Light that I always saw, and I still see it. This light was like my companion. I can’t remember talking to the Blue Light, but perhaps I did as a child, and now I do talk to my Blue Light. In fact, I consciously talk to my Blue Light." "I didn’t really remember until I was about 38, but when I was young I used to see something like orbs around the electrical lines. I thought, “That’s kind of strange.” I guess that they were using the energy to manifest because I couldn’t really see. I couldn’t really experience it at that time. So, that was the best that I could see then. But then, I kind of blocked everything out most my life. I kind of think I did that on purpose. That’s pretty much it. I had another incident when I cracked my head open, and my Mom heard me even though I was miles and miles away. But I still didn’t connect the dots until later on." "I guess I would say that ever since I was little I could always see spirits and ghosts and outlines of either shadowy figures or light. Therefore, I always knew that there existed something on a different plane. I guess you could say that. However, that it wasn’t until the last 5 years that I actually started understanding and knowing things, I think." "When you first even started speaking about it, excitement came to my mind. I wanted to jump up and down like a little kid, saying yes! When I was a kid, I was very unusual. I think I was always talking to imaginary friends. It seemed perfectly normal to me, I’m like yes…exactly!" "When I was in my teens, I started having these very vivid dreams of visitations of various kinds of Ascended Masters. To this day, I don’t know what they wanted with me. But every since, there has been a lot of stuff, but one thing that it did was, it gave me a vibration that I could always point to, and all I had to do was just somehow magically connect with Self, with my Higher Dimensional Mind. And your “yous” have to get together and do what your "yous” said you were, are, going to do. We hope you will be joining us! We want to hear all about the wonderful journeys you've had, as you have ALL much to contribute. The Arcturians are quite skilled in making sure that there is a nice varied representation of all skills, creative abilities, levels of experiences, etc. This is the best way to learn from each other, and what we learn, we teach. We all have unique contributions to make, and we definitely welcome yours! http://www.multidimensions.com/globaltogalactic/. You will see the register button (for full payment) and the Installment Plan button (for two installments), so you can choose there. Please let us know how else we can help. We really look forward to getting to know you! Thank you very much for this post, it was so refreshing to hear people's stories. With me, it started in 2002 when my father was ill, and I went to a spiritualist church to learn how to talk to him when he left here, and I also learnt healing. For me that was talking about the things that I was learning, and giving him a new vision for where he could go, and also looking for the beauty of his life, so he could take that with him. After that, I had many lessons with Jesus and other ascended masters, on how to take in new energy, and was taught how to walk in between different dimensions. 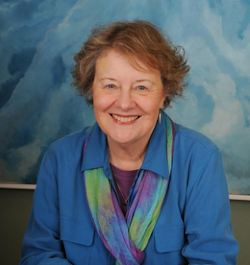 With my connection with the galactic's, that began after I did healing on myself, and they came in to help me with the changes that I was going through in the body. I had many experiences of being on a ship, the most vivid is when I went into an auditorium, where there were thousands of people, in different sections and different coloured uniforms. In the middle was an oval table, with high back chairs, which the high council sat on. I was taken up to meet them to talk about a project that I was working on, then we went into a smaller room. There were screen on the wall, with many videos being played, and they were moving the screens, removing old stories and bringing in new ones, until it all changed. They told me that this would continue until all of the stories had been changed. Since then I have had many dealings with them, they turned up at a healing event that I was doing, and the being told me that he didn't need the glasses that he was wearing, that he was in disguise, and when I asked him what he was here for, he told me that he had come to experience the evolution, so I asked him if he could help while he was here. Since then, I have seen them many times, they look really healthy, and there seems to be a glow about them, and the eyes are sparkling. They don't say who they are now, but they will talk about some of the things that I am working on, smile and nod to me,which to me, is like telling me that it is them. What do landings serve for? Well it is either the full payment or the two payment option. What? you not paying attention? Happy belated May Day. The beautiful energy transmitted by the most recent messages is almost palpable. I can't help feeling a sense of joy and excitement. I saw a blue and red rectangle ship go over my house last year and since then I've talked to someone named tee tee.??? ?